Now he’s turning his art and energy toward setting up a printshop in Detroit MI called Detroit Printing Plant. Amos is currently crowdfunding on Indiegogo to raise money for a building there and needs the help of members of the letterpress and book arts community. To bring manufacturing back to Detroit, MI via letterpress and book manufacturing. To see it explained in Amos’ unique style, check out his Indiegogo campaign page: www.indiegogo.com/justprint. You’ll also find out about cool gifts for donors there. And as an extra bonus, Proceed and be Bold! will be available for free viewing during the campaign at www.youtube.com/watch?v=i251DDffUzY&feature=youtu.be. As Amos puts it, "It's not about being so big that you have to maintain your bigness, it's about being just big enough that your craft can maintain you." That’s something we can all relate to and support. Early on, a character defines “historical fiction” as “fiction that’s true.” Well, maybe. But if you see Gutenberg! The Musical! in hope of learning about the life of the patron saint of book artists, you’ll be disappointed. If, on the other hand, you’re looking for an excuse for some wonderful theatrical goofiness, then the Act II Playhouse in Ambler is the place to go. The premise: Bud and Doug present a backers’ audition of their musical, hoping a producer in the audience will take it to Broadway. They do it all with just a piano player and a bunch of baseball caps labeled with characters’ names: Drunk #2, Meat Fat Trimmer, Anti-Semitic Flower Girl, Dead Baby, etc. The plot: In the sleepy German town of Schlimmer, Johann Gutenberg runs a shop where he makes wine, assisted by the lovely Helvetica. Upset that the townspeople can’t read, he works late into the night to turn his wine press into a printing press. The evil monk, afraid of losing power over the town, tricks Helvetica into destroying the press. Big Act 1 finale on the (imaginary) rooftops of Schlimmer with (imaginary) laser effects. Helvetica winds up in a tower torture chamber, Gutenberg burns to death, and someone repairs the press so the townsfolk can learn to read. There’s a surprise feel-good ending, which I won’t spoil. This co-production of Act II Playhouse and Montgomery Theater is cleverly staged, and is brilliantly performed by Tony Braithwaite and Steve Pacek. They effortlessly fill the stage with characters, caps, and nonsense. And you can use the pretext of research to see it--it might even beat an evening in the library. Performances at the Act II Playhouse through November 4, 2012. I am opening my studio for visitors at 319 North 11th 4th Floor on Saturday October 20th 12-8pm and October 21st 12-6pm. This is part of Post Open Studio Tour where artists from all over Philadelphia open their studio doors. I will have framed and unframed drawings and prints. I am going all out and hanging work up in my studio as well as the common space hallway. Check out my new work and work in progress ! All drawings available for purchase will be at a significant discount during post open studios weekend. I will also have screen prints and woodblock prints available for $20 and up. Other artists and galleries in this building will be open to the public during Post Open Studios: Marginal Utility, Napoleon, Tiger Strikes Asteriod, Grizzly Grizzly, Practice, Jeffrey Stockbridge, Vox Populi. Also meet some of my studio mates and see their work in progress: Sheila whitsett, Kirsten Harper, Alexandria Mento, and Amalia Plus. I hope to see you next weekend ! I invite you to my art studio to see my new work, as well as selected older pieces. Paintings, prints, works on paper & artists books will be on display and for sale. The safest way to enjoy the fine press exhibition at the Oak Knoll Fest is to leave your wallet and checkbook behind. That way you can bask in the glow of beautifully conceived and produced books without risking foreclosure. And pick up ideas and tips in the process. The Caliban Press edition of The Tempest on hand-made paper, each act printed in a different style on a different type of paper. The Tallis, a short piece written by Daniel Pinkwater, bound with a two-color woodcut. Manayunk Bridge, Thomas Williams' collaboration with his wife Mary Agnes, featuring her pinhole camera images of that local landmark; and, of course, there's a deluxe edition enclosed in a meticulously constructed wood and glass case. My one souvenir is a pamphlet-bound glossary of German bookseller's terms by Incline Press. Along with the sale, Graham Moss gave me a complete rundown on the book's background, including the life story of everyone involved in its compilation. That's the fun of an event like this: it's full of people who are eager to share their passion. Were you there? Please add your impressions in a comment. 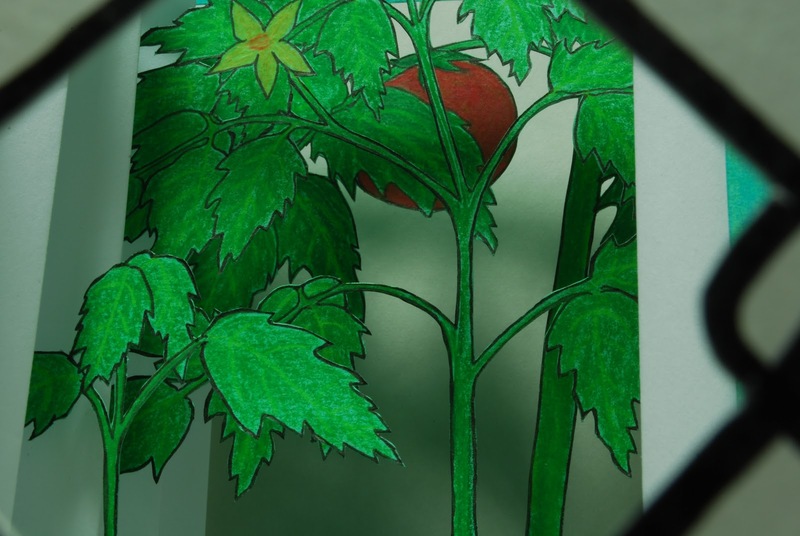 The Book Art of the Fertile Crescent is part of The Fertile Crescent: Gender, Art, and Society in the Middle East, a project organized by the Institute for Women and Art at Rutgers University, and co-directed by Judith K. Brodsky and Ferris Olin. The project consists of a showcase of exhibitions, symposia, lectures, film showings, musical and literary events by contemporary Middle East women artists, composers, film makers, and writers. Among its goals is to demonstrate how artists, film makers and writers can contribute to and clarify dialogues on current contentious issues and provide new perspectives for addressing those issues, how the work of these creative women expresses and clarifies the issues surrounding gender, geopolitics, and the environment in Middle East society, to introduce these ideas to a broad spectrum of audiences in the United States, and to open conversations across diverse communities in the cultural heritage of New Jersey’s growing population from the Middle East Diaspora. The Symposium will feature three artists with a common background in Middle Eastern culture discussing their artists’ books: Amina Ahmed grew up in England and has lived in Iran and the USA. She received an MFA form the Royal College of Art where she specialized in Visual Islamic and Traditional Art and was awarded the Barakat Trust Prize for excellence. A visual artist and educator, Ahmed’s projects are inspired by her faith and interests in human rights and coalition-building. Currently, She is a member of The Elizabeth Foundation For the Arts in NYC. Elizabeth A. Jabar received an MFA from Pratt Institute. She is a print-based artist whose hybrid works on paper explore ideas of ethnicity and heritage. 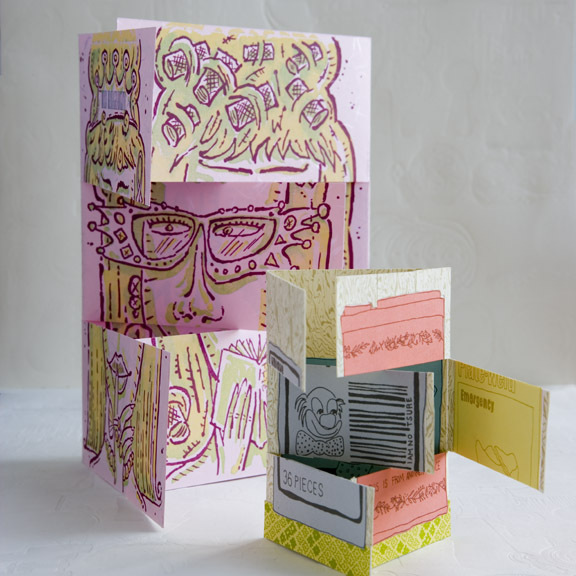 Her printed assemblages and artists books incorporate cultural motifs from folk art, religious traditions and textiles. She is an Assistant Dean and A ssociate Professor of Printmaking at the Maine College of Art, in Portland, Maine; Patricia Sarrafian Ward was born and raised in Beirut, Lebanon and is of American-Armenian-Danish heritage. She earned an MFA from the University of Michigan, where she received numerous awards, including Hopwood Awards in Novel and Short Fiction. Her novel, The Bullet Collection , about two sisters growing up in wartime Beirut, was published by Graywolf Press in 2003. 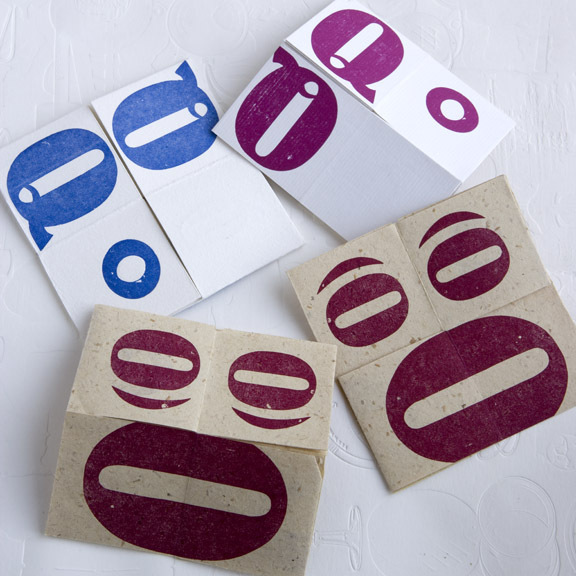 The Center for Book Arts awarded her a fellowship for the Fine Press & Letterpress Printing Seminar in 2005. Immediately following the presentations Nahid Hagigat will moderate a panel discussion and questions and answers. Hagigat is an internationally exhibited artist, curator, art teacher, and art therapist. After graduating in Fine Arts from Tehran University, she received an MFA from New York University, and a Ph.D in Behavioral Therapy from Huntington Pacific University, specializing in Emotional Healing through Art. She is the founder and former Director of the Center for Iranian Art, New York, and former Art Director of Gallery 24, New York . Onsite registration begins at 8:45 AM. Attendees are encouraged to bring their own books, bookworks, prints and other works on paper to share at the Book Artists Jam, 8:45 to 9:45. After opening remarks by Michael Joseph, Founding Director of the New Jersey Book Arts Symposium, the Symposium presentations will begin at 10:00 and end at 11:30. The panel discussion will conclude at approximately 12:30. Attendees are encouraged to eat lunch in downtown Princeton and then enjoy the other Fertile Crescent exhibitions in the Paul Robeson Center and at the Princeton Public Library. Registration deadline: October 30, 2012. Writers Trinie Dalton and Jen Bervin will read selections from their latest work and lead a conversation about the process of making books from concept to publication. 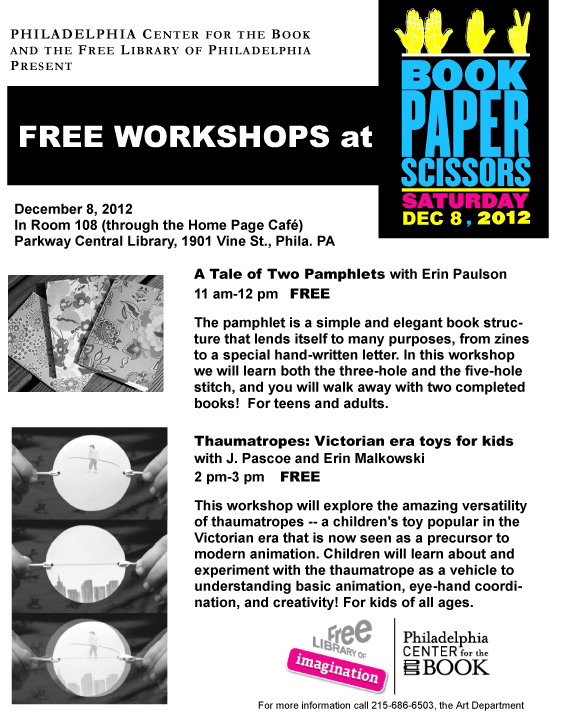 They will bring a selection of their books and invite you to bring your own examples along with questions. Jen Bervin’s work brings together text and textile in a practice that encompasses poetry, archival research, artist books, and large-scale art works. Her books include The Gorgeous Nothings (2012), The Dickinson Composites (2010), and The Desert (2008) from Granary Books, and The Silver Book (2010), A Non- Breaking Space (2005), and Nets (2004, fifth printing 2010) from Ugly Duckling Presse. Trinie Dalton’s books alternate between art projects and fiction, and sometimes combine the two. Trinie’s books include Wide Eyed (Akashic), Dear New Girl or Whatever Your Name Is (McSweeney’s: co-edited with Eli Horowitz and Lisa Wagner), Mythtym (Picturebox), Sweet Tomb (Madras Press) and Baby Geisha (Two Dollar Radio). She teaches fiction and critical writing at USC, SVA and Vermont College of Fine Arts. She has taught about book/arts, contemporary printed matter, and publication at NYU and Pratt. Lesley Haas, a native of Philadelphia, made her home in Heidelberg, Germany from 1988 until 1996 and again from 1999 to 2000. There she opened her first paper studio. She developed an interest in handmade paper after viewing a comprehensive New York exhibition in which the artworks were made with paper. Her technique and style have been influenced over the years by both ongoing studio work and attending varied workshops. The signature of her work is the use of natural fibers and pigments from various parts of the world blending the characteristics of the fibers with different elements of style. Handmade paper can be formed by using a myriad of plants, producing the most delicate of papers. A rough deckled edge exposes the raw textured beauty of what has always drawn her to using paper as her main art medium. Paper dresses, scrolls and recycled paper art can be found among her artworks. As an extension of her papermaking Haas has created numerous objects from vegetable papyrus. Minnesota Center for Book Arts (MCBA) seeks art for inclusion in Stellar, a juried exhibition exploring outer space. The exhibition will be presented January 25 through May 5, 2013 in MCBA's main gallery, with an opening reception on Friday, January 25, 2013. All media and formats are welcome within the expansive understanding of "book" today. Prints and other works on paper will also be considered. Themes may include but are not limited to: astronomy, cosmology, space travel, satellites, space technology, scientific theory, creation myths, astrology, utopian dreams and metaphorical investigations. No entry or participation fee. For each entry include: title of work, dimensions (HxWxD in inches), year of completion, medium/materials, insurance value, price (if work is for sale), and special installation instructions or other descriptive information. 2. Up to three digital images per work are allowed. Multiple entries are allowed but should be sent as separate emails. The Women’s Studio Workshop in Rosendale, NY has announced two types of residency grants. Application deadline for both is Nov. 15, 2012. Here are brief summaries of the grants. Go to the links for specifics and application information. This grant is designed to enable artists to produce a limited edition book work at WSW. Working intensively in their studios for six to eight weeks, artists print and bind their own books. WSW technical assistance includes training on new equipment, techniques and materials, and assistance with production. Each year WSW awards two grants for emerging artists to create a new artist’s book and teach young people through their studio-based Art-in-Education (AIE) program, Hands-on-Art. Generally AIE/Book Arts residents teach 1-2 days per week for 3-4 weeks in the studios, and also visit the students in their home school in shorter sessions before and after the series held at WSW. For these residencies, WSW is especially interested in artists who come from different regions of the country and/or diverse cultural backgrounds. Philadelphia Open Studio Tours (POST), a program of The Center for Emerging Visual Artists is the largest tour of artist studios and creative workspaces in the region, and one of the premier open studio tour events in the country. The 2012 Tour will take place October 6-7 for venues West of Broad Street and October 20-21 for venues East of Broad Street. The tours run from noon to 6 pm on both weekends, both days, and provide a unique opportunity to peak inside the studios of our local artists who are helping make Philly one of the most vibrant art scenes in the country. Independent Publishing Center will be featuring member work as part of Philadelphia Open Studio Tours West this weekend, October 6-7, from 12-6pm. The Soapbox is a Zine & Artist Book Library and Print Studio in West Philadelphia at 741 S. 51st Street, with a focus on supporting self-publication arts. Member work on display includes book, zine, print, & fiber media by: Katie Haegele (The LaLa Theory), Charlene Kwon, Johanna Marshall, Kerri R. (deafula), Mary Tasillo (Citizen Hydra Projects), Caroline Ziegler (Okay Hooray), and Scott Ziegler (Palilogy Press). Chat with members, have some mulled cider, read zines from our collection, and take a look at our print studio. Find out more about The Soapbox at www.phillysoapbox.org. Works on paper, collages, mixed media and paintings. Ifestudio3 is celebrating along with artists at Greene Street Artists Cooperative,. Greene Street Artists Cooperative is celebrating its 20th anniversary during the POST weekend. The Cooperative is Philadelphia's only artist-owned and operated live and studio building. Since GSACs opening, more than 50 artists have lived and created work there, sharing management responsibilities and contributing to the cooperative’s ongoing success. The members currently living and working at GSAC include visual artists Barbara Bullock, Brian Defrees, Jonathan Eckel, Patrick Egan, Mindy Flexer, Steve Ford, Ife Nii Owoo, Susan Patterson, William Teodecki, Jay Thomson; and writer / poet Trapeta Mayson, who is the group’s current president. DesignPhiladelphia is about to begin and one event we are really excited about is taking place at Quirk Books on Oct. 12th. Quirk Books, along with DrinkPhilly, have a fun evening of book cover design scheduled. The night will showcase their team of designers work of alternative book covers, showing actual designs that didn't make the cut and new works that are inspired by older titles. Guests can look forward to an evening of interacting with some of the team behind those books, as well as a number of fun giveaways through out the evening. Quirk is an indie publisher located in Old City, and is home to New York Times bestselling titles like Pride & Prejudice & Zombies and Miss Peregrine's Home for Peculiar Children. Guests can expect some free nibbles and beverages at the DrinkPhilly HQ, and possibly some live music. The event is free and open to the public, running from 5pm to 9pm. 21+, as there will be alcohol.